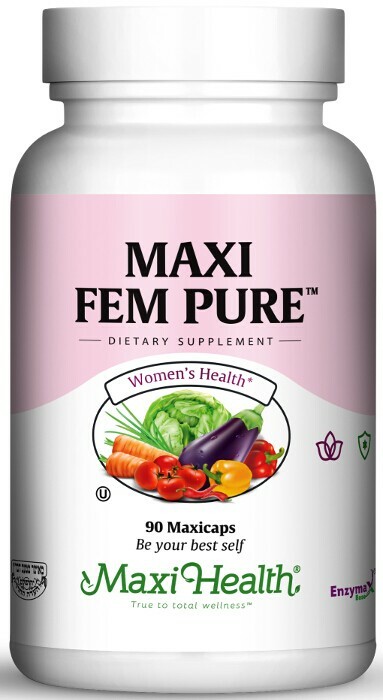 We are excited about Maxi Fem Pure™ and you will be too. Supports a natural barrier support for blood vessels, capillary, and vein strength, and possibly with the symptoms associated with light or irregular bleeding. Not only that, it lends support for a healthy respiratory, digestive system and contains antioxidants to protect you from free radical damage and allergens. For the active life style you live, or the other women in your family, get Maxi Fem Pure™ today. Take two (2) Maxicaps™ daily, or as directed. If pregnant or nursing, consult your healthcare practitioner before using any dietary supplement.